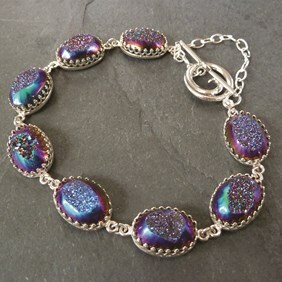 With so many settings to choose from, it can be difficult to know what to do with your favourite stone! So we've put together a list of all the different setting types you can use in your creations. We've separated them into three categories depending on your current skill level so you know what type of setting is best for you. We always encourage our customers to try new techniques and branch out, so give everything a go! If you need any advice or help, we're always here to help. Just get in touch with Facebook, Twitter, Email or simply calling us on 01872 573888 9am-4pm UTC. 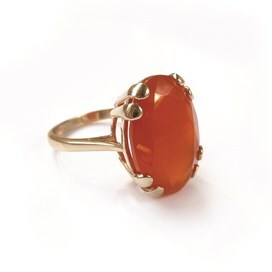 Alternatively check out our stone setting advice pages here. Snaptite settings are for faceted stones and are available in various shapes and sizes, for both pendants and earrings, as well as loose settings which you can either solder onto your own designs, or threaded onto a cord. The pre-notched, tensioned claws 'snap' and grip around the stone, so they're really simple to use and require no tools at all. Simply set your stone face down on a hard surface, line up your snaptite setting over it, then apply some pressure onto the stone from above. The stone will click into place, and you're finished! (whilst you don't actually need any specific tools to set stones in these simple settings we would suggest checking the claws are holding your stone securely, or gently smoothing the claw over the stone with a pusher or similar tool to prevent them catching on clothing). 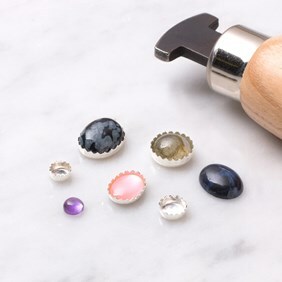 Snaptite setting are such a nice simple easy setting that you can create a huge range of jewellery really quickly and easily, with any faceted gem that fits! Click here to see our range of snaptite settings. If you'd like to see step by step photographs and instructions on setting stones in snaptites and some projects using these settings click here. Another super easy setting for faceted stones that requires no specialist tools. Probably one of the easiest designs to set: place your slide setting face down, and place your stone setting into the back (with the pointed side of the stone upwards). 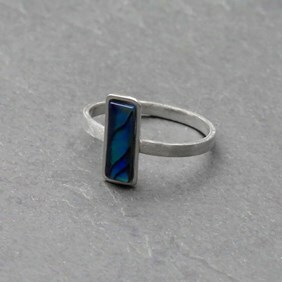 Just push the small claws on the setting over the back of the stone with a pair of tweezers, and it's set! 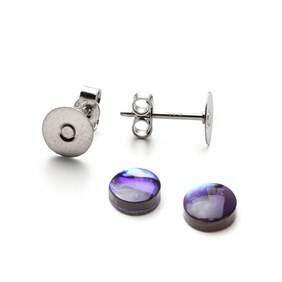 These settings are available as pendants (some of which could be used for making drop earrings too) and as earstuds. These settings are made for cabochons, come in various sizes, and are available as round or oval settings. We sell these settings for pendants (also perfect for making drop earrings), as links (try inserting in chainsnecklets or bracelets), and ring settings. Gallery wire settings only require one tool: A bezel rocker. 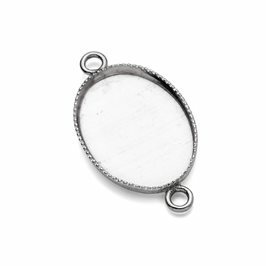 Simply place your cabochon stone into the gallery wire setting, ensuring it fits well and is level. Then with a bezel rocker, gently push the gallery wire over your stone, alternating on opposite sides to ensure an even set. Once you have smoothed the wire over the stone on all sides, your stone is set. 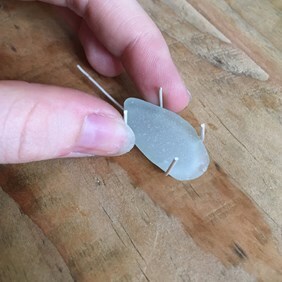 If you find you have quite a shallow cabochon, you can raise it up a little with a loop of wire in the base of the setting, you could if you wish also use a little gluein the base if you want to ensure an even more secure setting. Link gallery settings are a really nice way to create interesting and original designs, why not try attaching a wire wrapped briolette(learn how to wire wrap a briolette here) to the lower loop of the setting to make a longer pendant or drop earrings, or link multiple settings together with jump rings to create a chain. 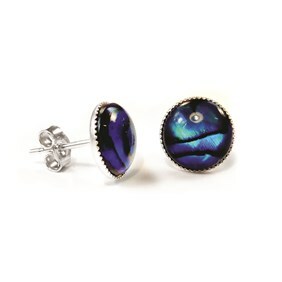 This type of setting is another for use with cabochons, as cabochons have a flat back this makes them most suitable for this type of setting. If you like the look of faceted gems but want to use a glue in setting, have a look at our faceted top cabochons which have the sparkly faceted look but with the easy to set benefit of having a flat back as well. Glue-in settings are as simple as they sound, but there are a few things you can do to ensure a really secure setting. First pick a really strong glue - We recommend you use the Devcon 5 minute epoxy, it's the strongest and most reliable we've found (a visual guide for mixing and using this glue can be found here), also roughing up the surface on both the stone and the setting will help the glue key onto the surface and bond securely, so scratch the surfaces a little where you wish the stone to stick. Mix equal amounts of the glue together, then use a pin or cocktail stick to apply a small amount of glue to just one of the surfaces and sit the stone gently into the setting. try not to use too much glue, so it doesn't go everywhere, but if you do have any excess, just wipe it off with a damp cloth before it dries. You can then leave your stone to set. Although it does dry in 5 minutes, we recommend leaving the epoxy to set for an hour to ensure maximum strength and durability over time. For detailed step by step instructions on using glue to set stones click here. These settings are available with various finishes: flat plate settings, milled edge settings and petal edge settings. These are also available in lots of shapes and sizes, for earrings, pendants, pins, rings, and loose settings that can be soldered onto your designs. 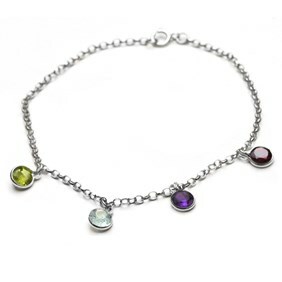 These settings are forfaceted stones and available as pendants and as link connectors, for both round and oval gemstones. 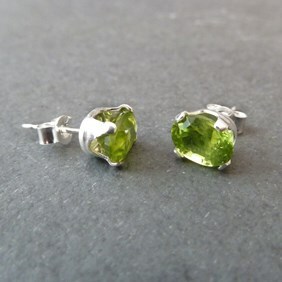 You'll just need a pair of round nose pliers for these; just pop your stone into the middle of the setting, and use your pliers to gently squeeze the small loop at the end of the setting, which will cause the setting to hug your stone tightly in place. To prevent you closing your loop too tight and accidentally closing it, try placing some wire inside before squeezing, this way you will ensure you still have enough room to attach a jump ring to the pendant. You now have a beautifully set stone! If set correctly this should hold your stone securely, but if you are concerned you could add a very small dab of glue onto the inside of the rim of the metal for absolute security, but be aware that a little will go a long way so apply conservatively so it does not smudge onto the rest of the stone. 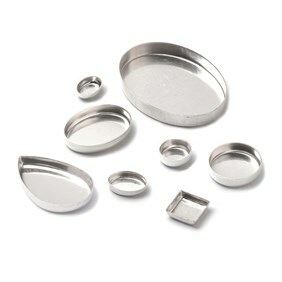 To see step by step photos of how to set stones in these wraptite settings click here. 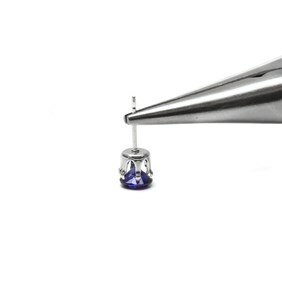 These settings are a great introduction to claw setting faceted stones. The claws are sturdy and the settings have a high-end look when finished. 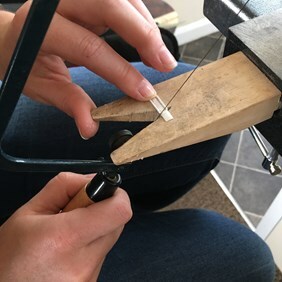 The claws come with pre-notched indentations where your gemstone will fit, so you don't need to file and cut your own - this makes the setting process so much easier and therefore you will probably only need a pair of snipe nose pliers and a pusher to set your stone in place. 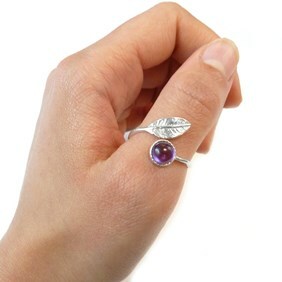 First, check the size of your stone in the setting, if it won't drop into place easily, use your pliers to open the prongs of the setting just enough to fit your stone inside. 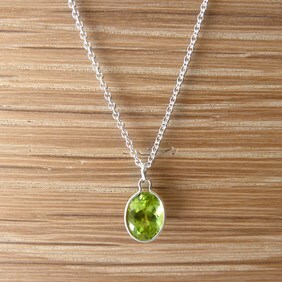 Place your stone carefully into the setting, ensuring it's completely level, and the fit is nice and snug. You can then either push the claws over the stone using a pusher (as detailed in our instructions here) or using pliers. 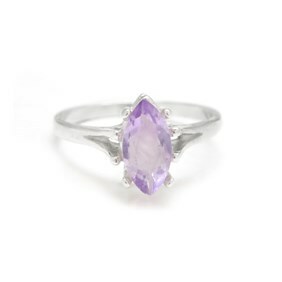 To set the stone using pliers hold onto the ring (using a ring clamp will make this much easier) and with your pliers, place the jaws underneath the setting and on top of the prongs, applying pressure gently so that the prongs hold your gemstone tightly in place. (Don't squeeze too hard, or your stone may pop out!) Make sure your stone is still flat and level. 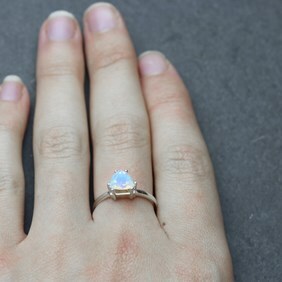 Now, hold the gemstone with your thumb, and squeeze the pliers at a 45 degree angle to fold the top of the claw above the notch down onto your stone. Then move on to the prong opposite (working in a criss-cross fashion keeps the stone level) and finish on the third and fourth prongs. 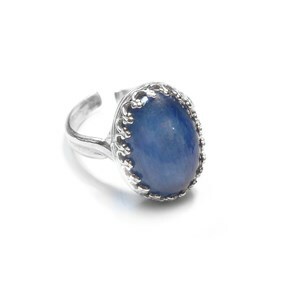 Once you have tightened all of the prongs, your stone is set! Traditional claw settings are similar to the pre-notched settings described above. The only difference is you have to trim the claws (if needed) file down the claws and make your own notches. Although this is more difficult, it also gives you the freedom of using slightly different sized stones, as you can seat them exactly where you want in the setting. Practicing on ready made settings like this will give you the confidence to try making your own claw settings from scratch. You'll need slightly more tools here, so make sure you have some stone setting pliers, some needle files, a pusher, and some side cutters or saw. We've put together some step by step instructions detailing the process and techniques needed here. You'll need to adjust the claws to fit your stone so keep checking with your stone so that you ensure a good fit and don't remove more metal than needed. We have some really good books that will help with teaching you all you need to know, so have a look at our range here. 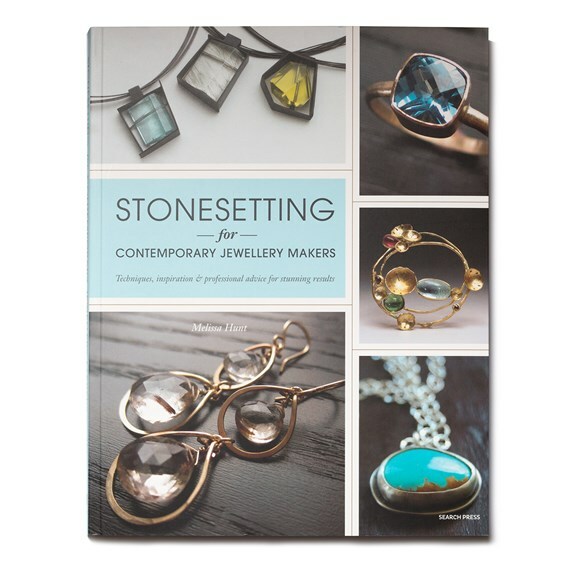 One of our favourites is Stonesetting For Contemporary Jewellery Makers by- Melissa Hunt this is a really informative and inspiring book which always comes up as the best recommended stone setting books. Bezel settings are generally for cabochons, you can set faceted stones in a bezel setting but for most of the pre-made bezel settings that we are talking about here - which have a closed back, they will be for cabochons. Useful tools are a bezel rocker, a burnisher, a set of needle files, and sandpaper or sanding sticks. Set your stone in place, ensuring a snug, level fit. If the stone doesn't quite sit right and you have a heavy bezel, you can use a graver or stone setting burr to remove some metal from the inside and give it a little more room. Next, file the edges of the bezel at a 45-degree angle (doing this will help the top edge lie smoothly against the with no sharp lip). Then with your stone in place use your pusher to roll the edges of the bezel over the stone, creating a smooth edge all the way around. Work your way around the stone bit by bit at opposite sides, to ensure you're even on both sides, and the stone sits centrally. Keep working until the bezel is flat against your stone all the way around, and finish with a burnisher, which will smooth the metal out and neaten the design. More information can be found within the pages of the many books we sell on the subject of stone setting. There's a huge wealth of knowledge available, and it's always handy to have a book nearby to guide you through the steps as you work! In a whole new level from everything else, is making your own settings. There are several types of setting your can create from scratch. 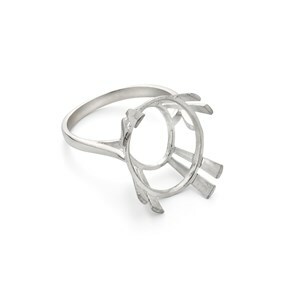 Notably, wire edged settings, prong/claw settings, bezel settings, and tube settings. 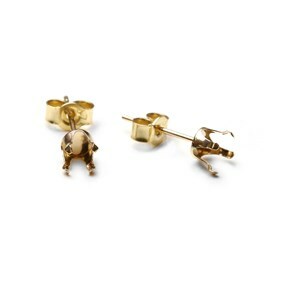 These require a knowledge of soldering and working with metals. So they make good projects for improving your skills. We've discussed the pros and cons of creating your own settings before! 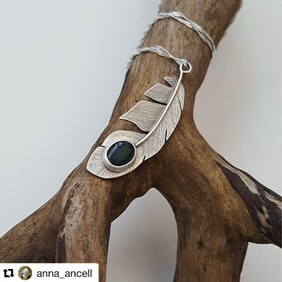 Bezel strip (or bezel wire) is made from fine silver (so slightly purer and more softer than sterling silver), this thin and flexible strip is easy to rub over the stone, we sell two different sizes for different depths of stones. You can solder your bezel stip onto silver sheet as a backplate for your setting. Click here to buy bezel strip. 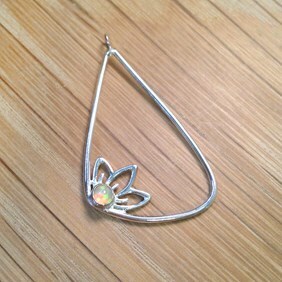 Bearer wire is made from sterling silver so is a little stiffer to work with than fine silver bezel strip. 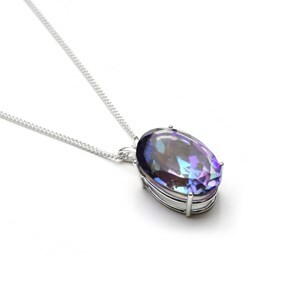 This style has a step to support and raise the stone up, so can be useful for bezel setting faceted stones or where you might want the stone to sit up higher. Click here to buy bearer wire. 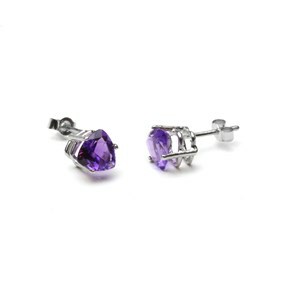 The little prongs all around the gallery wire help you to bezel over your stone easily and are a more decorative option when compared to plain bezel wire. File the top of the prongs, to thin them down a little and smooth them out before setting for a neater look which will also stop them from catching on clothes etc. 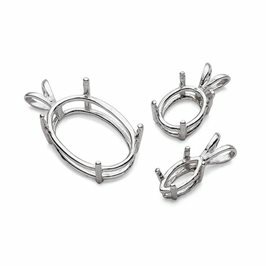 These are a great option for your first time creating your own bezels, as the prongs can cover up any imperfections which may be much more noticable on smooth bezel strip. Click here to buy gallery wire. 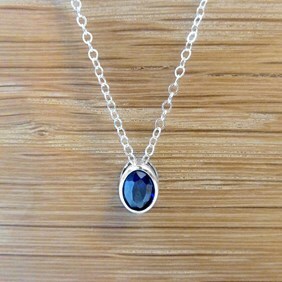 You can use a silver tube as a way to achieve a bezel effect with a faceted stone. 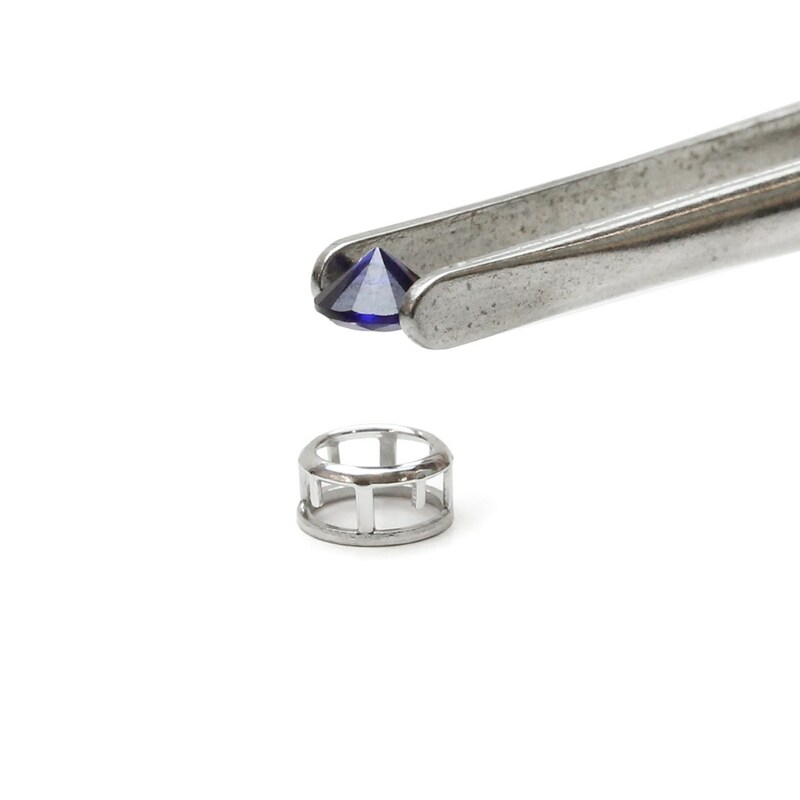 Choose a section of tubing with a diameter that is 0.5mm bigger than the stone you'd like to set. (for a 3mm stone, you'll need 3.5mm tubing) Then use a burr the same size as the stone, to drill a hole for it to sit in. 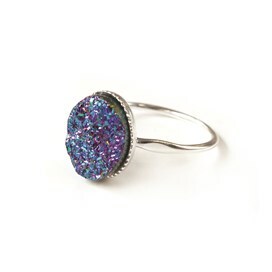 You can then use a bezel rocker to rub over the top and hold it in place! Click here to buy tubing. You can use silver wire to create claw/prong settings, attaching a connecting ring, and bending around your stone. 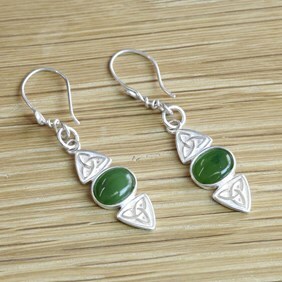 You can also use them for a wire edge setting. 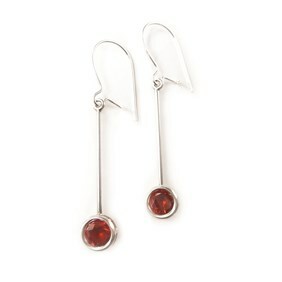 Click here to buy sterling silver wire. The silver sheet is used as a baseplate for the back of any setting, adding structure, securing your stone, and adding some extra finish to a design. Click here to buy sterling silver sheet. With all of these materials combined with your own creativity, you'll have access to limitless possibilities for setting designs! Creating your own designs is much more difficult to explain briefly here we've created specialised pages for each one, and listed them below. 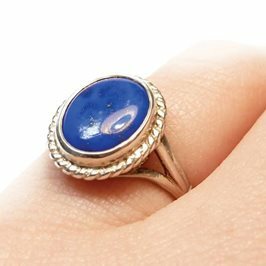 Alternatively browse all our stone setting advice pages here. Tips on making your own bezel setting and a guide on how much bezel you need for each size of stone. Our very own stone setting advice leaflet. Really handy to have next to you on your work bench. This fantastic book teaches you step by step varied techniques, treatments, and innovations used in jewellery making specifically stone setting. How Much Bezel Strip Do I Need?